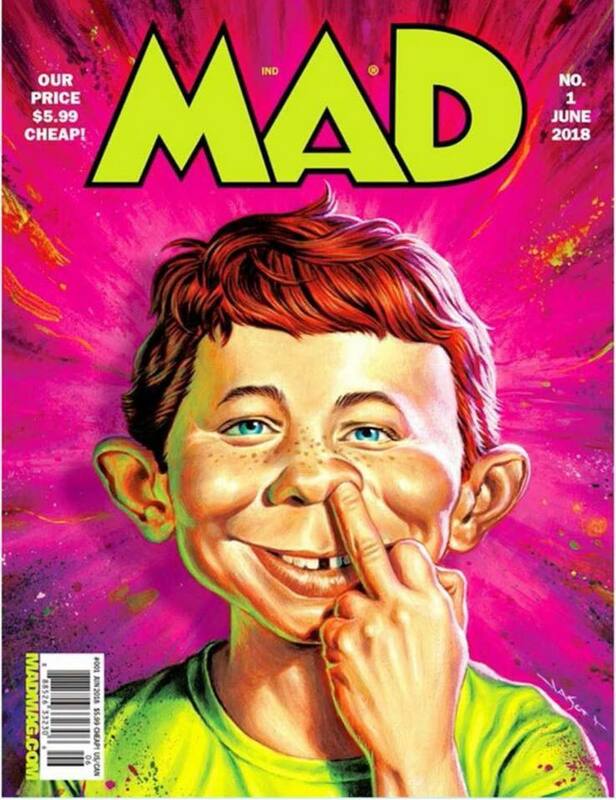 Fans in attendance at WonderCon 2018 in Anaheim, California got a tease of what the revamped Mad Magazine will look like. 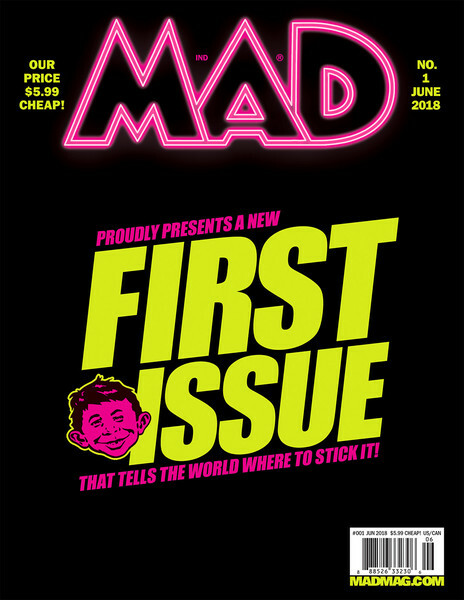 After 66 years as a comedy institution, MAD Magazine is undergoing substantial change. The magazine will reboot to issue #1 after issue #549. 30 year editor John Ficarra retired and the magazine will now be steered by illustrator and comic book artist Bill Morrison. Also, after many, many years in Manhattan (first on Madison ave and then on Broadway), the magazine shifted offices to California. MAD was created by Harvey Kurtzman and published by Bill Gaines in 1952 under the EC comics imprint. EC remained the publisher until Gaines sold it to Kinney Parking Company in the 60s. Through a series of mergers and acquisitions, the company eventually fell under the DC Comics umbrella and has remained there since. MAD #1 will go on sale April 18, 2018. We hope the “new look” retro logo will help bring the great satire publication back to it’s former glory. John Ficarra was smug,really had no idea what he was doing and the old mag was slowly dying under his editorship. Let’s hope the new editor will be another Bill Gaines!